both are best served chilled and with a slice. 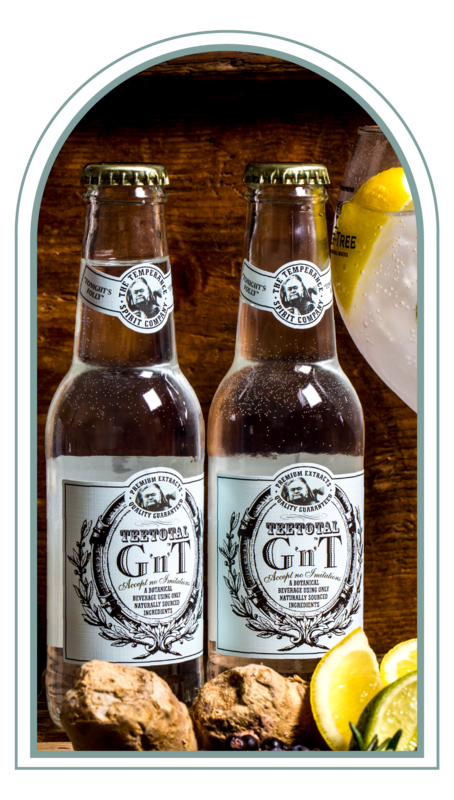 The first thing you should know about Teetotal G’n’T is that it’s delicious. The second is that it’s alcohol-free. Really. A tribute to the classic Gin and Tonic, it’s got all the taste and flavour you’d expect, and none of the booze. Crafted to perfection from all-natural ingredients and botanicals, it’s also low in sugar, with each bottle containing only 52 calories. Made from natural flavours with no artificial sweeteners, this versatile pre-mixed drink is best served chilled over ice. You can even use it as a base for mocktails - blood orange, rhubarb or cucumber are a tasty starting point. For when you want a drink, but you don’t want to ​drink​. Vintage taste. New recipe. It’s not dark rum and cola, but it tastes like it is. Just without the booze. Our ​Teetotal Cuba Libre​​ boldly reimagines one of the world’s most popular cocktails; squeeze lime on to ice and then pour. Lovely. 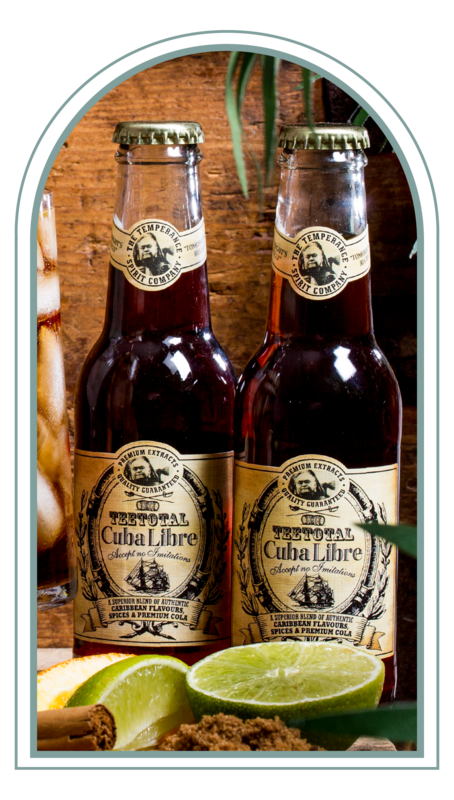 Made from natural ingredients, our Teetotal Cuba Libre is a superior blend of Caribbean flavours, luscious spices and premium cola. With only 72 calories, the citrus tang and warm spice flavour of dark rum is low in sugar and big on taste. At Teetotal we love an excuse for a party, and think baby showers are a great reason to invite pretty much everyone you know for a shindig. Baby showers are different from most parties in that alcohol can’t really take centre-stage - which is why we like them. Thinking of throwing one for yourself or a friend? Here are a few tips to make yours one to remember (especially the following morning).